♥ I was very fortunate to have a three question email reading with Christina. I have been in a shaky relationship and needed to have someone validate my truth so I could move forward in the correct direction. Christina was spot on in what she saw and it gave me the courage to do what was necessary knowing my intuition was not wrong. I found Christin’s information both accurate and compassionate and I will definitely seek help from her in the future. Tricia Baxley! ♥ I have been to many psychics, mediums and witches. I was impressed with everyone of them. They definitely have the gift of knowing the present and were able to channel my loved ones but no one compares to Tina Bliss. Tina not only told me what was going on in my life but was able to completely change my life after the first reading. I felt like a brand new person. I felt lighter. I felt less anxious and I listened to her advice that was channeled through her by my grandmother. I came back for a second reading because I couldn’t get enough of the positivity I felt after I left her house. The second reading was completely different and she validated so many things that I was going through. She repeatedly told me that I have the gift. I have decided to do the psychic workshop with her soon. I’m glad I googled “psychics nearby” the day I found her. 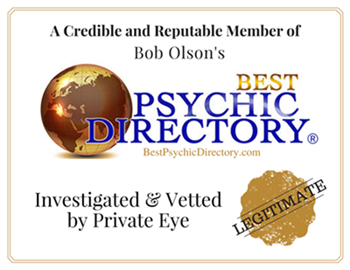 There are other psychics that showed up in the results that I have been to. One has 5 star rating and her one hour reading was cheap $60-$65 and I went to her and within a few visits she scammed me $5000 to help me with an issue and she did not come through. I was at my lowest point and desperate and she took advantage of me. That was a big lesson learned. So be aware of scammers and go with Tina Bliss. Tina is the real deal and very professional!!!! Thank You. ♥ Hi Cristina. You read for me a couple of days ago. My horse was being put to sleep, and I had a lot of anxiety about it. He left this morning to go to heaven! I’m doing alright. Actually, better than I expected. I am very sad to not have him here with me physically anymore, but he’s in my. I’m going to be sad for awhile, but I do believe it was the right decision. I really appreciate you talking to me the other day. You don’t know how much it helped me work thru this decision to send him off. I really appreciate it from the bottom of my heart!! Thank you!!! ♥ Tina, thank for your reading! I feel like I was lost and you have confirmed that the goals I have set for myself are what I should pursue. I’m so grateful to have found you, you knew stuff that I didn’t even know (and had to confirm with my mom). Now my mom is ready to book a reading with you too. ♥ Thank you Tina for your insight. I felt very comfortable to you, like we already met before. You were very up front about everything and confirm the answers I was looking for about my marriage. I will definitely be using your services again. ♥ I just had my first reading with Tina and I’m still smiling a half hour later. She delivered the truth in such a compassionate and non-judgmental way. I felt an instant connection with her. My topic was sensitive and she saw that and delivered the reading with empathy and kindness. I truly appreciated it and understood everything she said. She is very accurate. You absolutely will not be dissatisfied with a reading from her. Thanks again Cristina. God bless! ♥ Cristina is amazing! I’ve reached out to Christina several times for guidance. She was spot on! Looking forward to my next visit. ♥ You provided more insight on my marriage. I was so sure I was going to be divorced and the first thing you told me I was not. There was no way you would have known that. You also knew a lot of details on my marriage and family that you were spot on. You have given me peace and guidance. I will be back again for another reading within the year. Thank you!! ♥ You truly gave me the closure I needed and I am so grateful for that. My experience with Tina was truly surreal. At first I was a little concerned that it may not be truly accurate because we were communicating over the phone and we didn’t have that personal connection, but she made me feel so comfortable. Everything she said was so accurate, the way she described certain people who were the focus of my readings to the events that unfolded right before me. I would love to do another session with Tina soon, just to get a little more direction and insight as to what’s going on in my life. Thank you Tina for everything. You are truly appreciated and your gift is a blessing to all of us. Kind regards. ♥ This was my first in person reading. You helped me feel better and gave me a clearer picture of my situation. Thank you ! ♥ Hi Tina. You are caring, direct and gifted. 15 minutes wasn’t enough time and I am eager to reconnect to experience more of your obvious talent. I felt like you spoke to me honestly, yet without a fairy tale and outcome is positive even though it may yet be still more time. Thank you most of all for what I felt intuitively was your honest nature. Most of us reaching out to you are seeking, in need, or hurting perhaps and you deliver with hope and compassion. My best. ♥ Thanks Tina for my reading a couple of months ago. You really nailed it about me being intuitive and needing to not take others opinions to heart. Spot on! I appreciate all of your insights. Many blessings! ♥ Hi Tina, I booked you for a reading last year and everything you said would happen, did happen. I want to thank you for your gift and your honesty. At the time of the reading I wasn’t ready for the truth but it was what I needed. You helped me understand why things were happening around me. I’ve had reading in the past but you were the first to be dead on, everything happened right at the times you said they would. Thank you so much, for giving me clarity and understanding at a time I felt stuck and confused. Thank you! ♥ Hi Tina!! Here’s my review! Tina is my number 1 go to psychic. She tells it like it is and that’s why I like her. She reads phenomenally and I trust her. Her predictions and insights are always accurate. So you were right. ♥ I had a reading with Tina about a year ago and again this past summer. She was very detailed and accurate during our session. She was able to relay messages from not only one but several family and friends that had passed away. I absolutely recommend her. ♥ I enjoyed the reading. I was having a very hard time moving forward with my life after my kids’ father death. I kept hoping that I could continue to have a life with him ( see, hear, talk to him and if not possible he would come into my dreams or do something to make his presence known). You helped me realize that I was in denial about his death and I needed to move forward. You told me aspects about heaven and afterlife that limit his interaction with me ( lessons, traveling with someone, inability to show favoritism, blocks on his actions placed by others). I paid for a mediumship but you told me valuable information about my future and how to proceed with my present. After talking to you on the phone, I feel better about my life and ready to work on my goals. I will definitely use you again and recommend you to others. Thank you. ♥ I am sure you have heard this so many times over, but I have to be that one more person to say: “you were right!” You read so many people that I am sure you do not remember telling me that my time with my biological mother was limited and you mentioned “3s.” You said that you didn’t know for sure how they played a part in it all, but I can tell you that she passed away unexpectedly this year on the day before my birthday… the last day of the year that I was 33. I cannot tell you how important it was sitting with you when I had. It gave me the peace of mind I needed that I never would have found on my own. Tina is like a calming relief of the soul. She was so quickly able to pinpoint the negative forces that were weighing heavily on me and help me over come some pressing personal matters. And above all else.. she was right. The things she said were going to happen, happened. You will leave a session with her feeling an unbelievable amount of clarity. I would like to come see you soon because I think you can help a friend of mine who recently lost a loved one. Can you please tell me again what your pricing is for and amounts of time? For my 1 question I would like to ask if you can see at all what may be going on with my health. My doctors do not seem to know what is wrong with me and I am afraid of finding the problem when it is too late. Can you offer any insight to this? ♥ I received a reading from Tina yesterday, I and was blown away. I recently lost my dog and had a lot of guilt and sadness after having to euthanize her. Tina was able to describe her illnesses which were not typical. A problem she had with holding her head up that I never told anyone about. She described each home she lived in prior to living with me. She described the owner as male or female and in the order she lived with them. She pinned the relationship that she had with my boyfriend to a T. And I even got another surprise. She described another pet that I had as a child and I know now that they are together. Talking with her has made me feel a lot better and I can’t wait to speak with her again. ♥ I had a reading with Tina a few weeks back and just wanted to take a moment to say that she was great. So far one of the things she told me has come true and I am anxiously waiting on the others. I will definitely be back in the near future for another reading with her. Thank you. ♥ This is my second reading with Cristina. She knew about issues that she couldn’t have had prior knowledge to. She also gave very useful advise. Very accurate! I’ll be back for more. ♥ I have known Tina Bliss for many years. During this time she has done several reading for me, providing accurate predictions and sound advice. I continue to be amazed at her amazing multitude of talents. Tina is a kind warm loving person and genuinely cares about her clients. Thank you Tina. You are so loved. ♥ When I decided to make a phone call I was a little (okay more than a little) skeptic about what the outcome of our session was to be. By the time we had finished I was in tears! Tina was spot on with every word she said. I never once felt like she was pressuring me or pushing me. The experience I had with her was truly unique. She made me feel relaxed and comfortable. The things she told me were exactly right and some things even took me by surprise how right they were! I have since recommended her to all my friends and family! Thank You Tina! You will never know how truly grateful I am! ♥ Hi Tina: I want to thank you for the clarity and confirmation I received on Sunday. It was so fluid and totally resonated with my spirit. It was like talking to my best friend. Your insight was spot on and I was feeling every word you said. Thanks for being a yielded used vessel. MANY BLESSINGS!!!! ♥ Tina Bliss is amazing. I have had 3 different readings from her since October 2016, and everything from the first two readings have happened just as she predicted, and when she predicted they would. My most recent reading has some things projected for the next 2 months, but I have no doubt they will come to pass. Very thorough and direct, but with kindness. I highly recommend, and will continue to seek advice from her. A+! ♥ Tina is truly a gifted psychic medium! I have had numerous readings with her, and each one has been spot on. She has been able to comfort me with her ability to connect with loved ones (and pets!) on the other side. The information she has is incredibly specific, leaving no doubt as to the authenticity of her abilities. For example, she referenced the specific favorite song of my grandmother (Sunrise, Sunset from Fiddler on the roof) – I didn’t even know it was her favorite song until I asked my father that night! She knew the middle name of a childhood friend who had passed away in an accident. Amazing! The messages she has delivered gave me such peace. ♥ Your reading was spot on and I am very happy to have contacted you. I feel much better knowing my Mother is near. I am grateful for your insightful reading and I will, OF COURSE, contact you again. Thanks for what you do. I don’t think there’s anyone else this gifted. Her readings give insight into where you are on the path of life, and where you are going. I would say she is a spiritual guide here on earth. As she works with you, an awareness of your spiritual self grows. Tina is in a class of her own! Thank You Tina! ♥ Tina Bliss has been a very straight forward and direct physic reader. She has always told me things about my life that are so true. Things that there was NO way she would have known. She told me things that will be happening in the future and she was correct. I’m pregnant with my 2nd child and she has been right about the gender 2 times now. I’ve spoken to others and they are not as truthful or the real deal like she is. I promise you would not regret having a reading with her. I’ve had over 5 readings with Tina, since 2015. I have highly recommended her to my friends and family that use physics- they too were impressed. Give her a try and you won’t want to use any other physic. Thanks Tina for being a godly woman, being the real deal and helping me through trials and tribulations in my life. ♥ I have been working with Tina for one year now and she has been my consistent “go to counselor/psychic” I really appreciate Tina for the person she is and the gifts that she shares with us. Tina has guided and supported me through some of the toughest experiences of my life. What I truly love about Tina is her loyalty and genuine care for her clients. Tina is always there for me when I need her and she will work around her super busy schedule because she knows that I need her support. Tina has been very honest and accurate with all her readings with me and she never sugar coats anything. Tina has been such a positive light and anyone who gets to read with her, it truly is an amazing experience. I always feel uplifted and stronger after talking with her. She has this light that you can feel when you speak with her. She will tell you the truth about what she sees and will guide you without ever leaving you feeling lost; she helps put the puzzles together. I am so honored to write this testimonial for this wonderful person. There are no words to truly express and personify the person that Tina is, she is truly is an angel on earth and we are blessed to have someone like her. I know that anyone who is looking for guidance and support, you will be so happy and will feel this inner peace when you speak with Tina. Tina, thank you for always going above and beyond for me, I am so appreciative of you! May God continue to bless the gift that you have to continue to share your blessings with others. All the Love and Light! — Warmest Regards. ♥ Tina, I hope you’re having a great day! Please see my testimonial below. I haven’t stopped thinking about my reading and have pieced so many things together since then. Amazing. “My experience with Tina was a once in a lifetime experience that I will always remember and treasure. I went initially to connect with a recently passed pet but ended up getting that and so much more. There were so many little details that Tina knew, it was like she was literally seeing images from my mind at times. I have a book called “Animal Speak” by Ted Andrews that I reference almost daily because I have a very strong belief in animal symbolism and have always had a deep love and appreciation for all animals. About halfway through my reading, Tina stood up and walked to a corner of the room telling me that from the time I arrived she’d been drawn to that corner. She bent down and picked up her (very used) copy of “Animal Speak”. My jaw dropped but I was able to stutter that I had that same book and it was one of my favorites. She told me it’s because I tend to communicate better with animals than I do with humans. Spot on. I’ve always had a terrible time communicating in my human relationships but my animal relationships are the best. I work with animals and volunteer as a foster mom for rescue pit bulls! I expected 3 specific loved ones to come through and they all did, which was amazing and gratifying but, more importantly, I was able to deliver a message to a great friend that recently lost her husband. I was very surprised that he came through in my reading because the two of us were never that close but it was definitely him because of the one specific detail Tina used to describe who was coming through. I went to his funeral, which was a Navy ceremony, not too long ago and during the moment of silence, one of the Navy pallbearers stepped back and accidentally kicked a shadowbox display of his medals and awards. The glass shattered loudly and my friend joked that it was her husband finishing off the glass that he had broken just a little bit while he was alive. He had been meaning to replace it. Tina asked me whose funeral I’d been to where the moment of silence had been interrupted with a sound like that. She said my friend (his wife) was really struggling with his death and was adamant about me making sure that her love did not die with him. I called her and relayed the message the next day and I’m so glad I did. Sometimes, people don’t show their sorrow because they don’t want to burden others. Whether Tina knows it or not, she helped me invite my friend to unload her burden on me. I am so thankful to her for that. ♥ I have known Cristina for eleven years and received readings once or twice a year since 2010. Her spiritual gifts are sincere and accurate. On her first reading she passed on information from my grandmother that was so specific to my life- I was floored. At this point I have had ten or so readings and a deceased loved one comes through every time. The details she provides that identify who they are uncanny. Cristina shares life events that they provide to identify who is visiting. I would highly recommend bringing a notebook or sketchpad to jot down what she tells you. There is so much information and some of it will not make sense at the time of the reading. Believe me- it will come up later! I have looked back at old notes and seen what she said had come to pass. Cristina is completely honest – for the good or bad. She will answer your questions about coming events, relationships, past lives, and loved ones who have departed. All of her intent is in a positive light and love, but she will tell you the truth, even if it is an outcome that is not positive. Cristina is also gifted at helping her clients realize that things happen for a reason and we’re all here to grow spiritually, which sometimes is accomplished by life challenges. A reading with Cristina is well worth the investment- she is the best and definitely a genuine multi gifted psychic medium and healer. ♥ I have been working with Cristina for several years now. It started out with a 15 minute reading on a specific challenge I was facing. Cristina is not about just giving answers, She has the beautiful ability to guide you on your intended path. I truly believe we are given free will to live and carry out our souls’ purpose, but free will comes with a responsibility of wise and informed choices. My journey has so much more of a clear focus with her help and guidance. She doesn’t always tell me what I want to hear, but she has always been right on what I needed to hear. The messages she delivers aren’t sugar coated. However, they are messages that can’t be missed and are for the higher and greater good. ♥ This was the first reading I’ve ever had and the whole experience was wonderful and extremely rewarding. Christina was spot on about several things, many that she would have not had any prior knowledge of. Thank you Christina for your sharing your beautiful gift with me. ♥ I had my first reading with Tina, May 2011. I was on the verge of divorce. Through Tina’s ability to see my marriage spiritually, she told me there would be no divorce and was adamant about it. It was with Tina’s insights and readings that I was able to see my marriage in a different light. My husband and I reconciled in October of 2011, just as she had predicted. With her help, I was able to see my marriage in a way that was deeper than just what is on the surface. She helped me often during that time in my life. She also connected with my mom who has past on, as well as with my father who is here and in poor health. She is always respectful, but politely blunt, in a loving way. I trust no other reader, and have recommended her to my niece who also found her to be spot on. I am grateful and blessed that our paths crossed when they did. I will always turn to her for guidance when I need it. ♥ Tina is the most unbelievable woman i have ever had the pleasure to talk to. I first spoke to her 2 years ago. I called her to find out if I was going to get divorce and before I finished the sentence, she yelled out yes, you will be divorced. I didn’t talk to her for almost a year later when for some reason I called. I asked about a woman I was seeing and she read her perfectly including her drinking problem as well as other issues. As the year went on, I spoke with her on several occasions and everytime she would out of the blue predict something that I wasn’t thinking about or asking her. Everything she talks about has either happened or will happen in the near future. She is also a healer and can help you with aligning up your body to tune it up for optimum life performance. Tina is the most accurate and spiritual healer out there. ♥ Tina has this ability to make you feel at ease rather quickly when first meet her. While being very direct during a reading, she’s also very comforting and supportive. The things she knew about my family and I, she could of never of known unless she was communicating with one of them who had passed. Tina has also been able to calm my nerves when stressed about what is to come in my life. She loves what she does and is very serious about it as well. When I need answers or advice, she’s the one I go to and recommend to others. ♥ Hi Cristina, I just wanted to let you know that another one of your predictions has manifested itself. Before I started my current job in November 2009, you told me I would meet a man. You said he’d be younger than me, dark features and will work in the investment industry. You also said I’d meet him through work and that he worked downstairs. I’ve actually seen him around many times since working here because we both smoke and occasionally we chat with one another if we are out on a break together. I always thought he was really cute and super nice and I mentioned to one of my co-workers (Rick) that I thought he was really attractive. It turns Rick is good friends with his brother and told me yesterday last week that he is recently single. ♥ Hello, I can’t say enough good things about Cristina. She has read for me over the last nine months and has provided me with accurate predictions and sound advice on matters of love, business, spirituality and health. Cristina’s ability to pinpoint the exact date of events leaves me astonished and her ability to pick-up on intricate details only proves Cristina is a talented psychic. When you call, you will find a woman who is intelligent, kind, compassionate and a master of her abilities. I believe Cristina is a person who truly cares about the success and well-being of her clients. I am grateful to have met Cristina; her guidance has helped me through a very difficult period in my life. Thank you for sharing your beautiful gifts. I just wanted to let you know how you have affected/changed my life. When I first came to you for a reading I was very nervous and skeptical due to my upbringing. But once I sat in front of you, and you told me things you could only know if you were gifted and in communication with the spirit world. When you send me home with the note paper that you were writing on during my session, I looked at it several times, and came to realize it was written in my deceased father’s handwritting. I was blown away! I want to thank you for speaking “life” into my life. I will most definetly be coming to see you again soon. ♥ Testimonial for Cristina Bliss: I first met Cristina several months ago through a co-worker. My co-worker, Kevonne, and I were having lunch and she was discussing her new found friend, Cristina. She explained how Cristina had changed her life and how introducing her to Reiki and other energy work, she was hooked. I was fascinated so Kevonne (at the lunch table) called Cristina and set up an appointment for me that same day to have a psychic reading performed. Upon meeting Cristina in her hair salon, I was amazed at her multitude of talents. Not only was she a Reiki Master and Master Psychic, she was also a successful hair stylist. Cristina made me feel very warm and ensured me that she takes her job very seriously. She stated that when she is working with any client, she puts all her heart, mind, and soul into that person, and she did with me. The psychic reading she did for me, blew me away. I was stunned at her ability to pick up on things in my life, as well as, past lives, that have impacted me today. I became a believer in Cristina instantly. I left her salon that day with a Reiki appointment 3 days later. Reiki and Cristina have both changed my life. I have been on a spiritual awaking since Cristina performed Reiki on me. I signed up for her Reiki I Class and again was not disappointed. I was so excited about my new found passion, that I also signed up for a Stone Meditation and Guided Free Style Writing Class. Cristina is not only a talented, gifted individual, she is also a wonderful teacher. She is so open to share her gifts with others so that they too can learn to enlighten others. My mother has had a very hard time since the passing of her husband, 2 years ago. I told Cristina about her and she wanted to meet with her right away. My mother was a little hesitant to meet with Cristina but she did. My mother is a changed woman. She told me that after she met with Cristina, her “black cloud” lifted and she felt human again. Cristina performed Reiki on mom and she also had a medium experience with mom and my stepfather (who passed away in October of 2008). I am excited to say that I will be taking the Reiki II Class in a couple of weeks. I can not express how Cristina has changed my life. I have more confidence in my self. She is heightening my psychic abilities, I see the grass as greener, the sky as bluer. I perform Reiki on myself and have noticed a change in my body. I am eating healthier, exercising, and I have less stress. I owe all of this self awareness and happiness to Cristina Bliss. She is truly a special, beautiful, talented, and unique gift for the world. I truly adore and admire her. I will continue to learn from Cristina and my goal (as is her goal) is to make this world a better place for all of us to live.